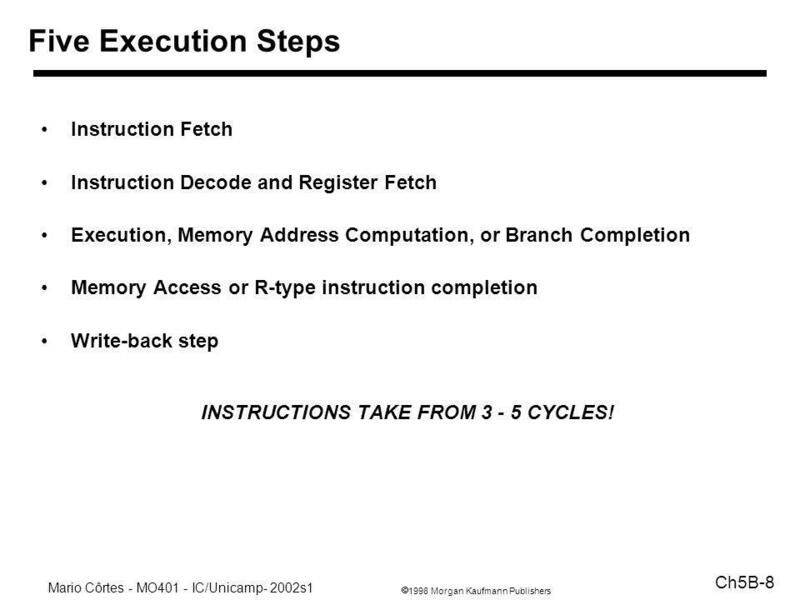 Instruction Decode and Register Fetch Execution, Memory Address Computation, or Branch Completion Memory Access or R-type instruction completion Write-back step INSTRUCTIONS TAKE FROM CYCLES! 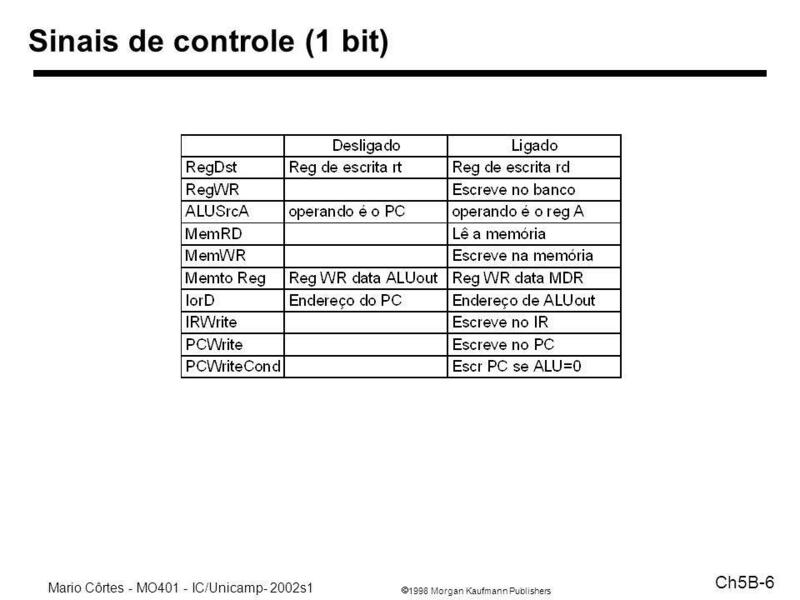 Use PC to get instruction and put it in the Instruction Register. 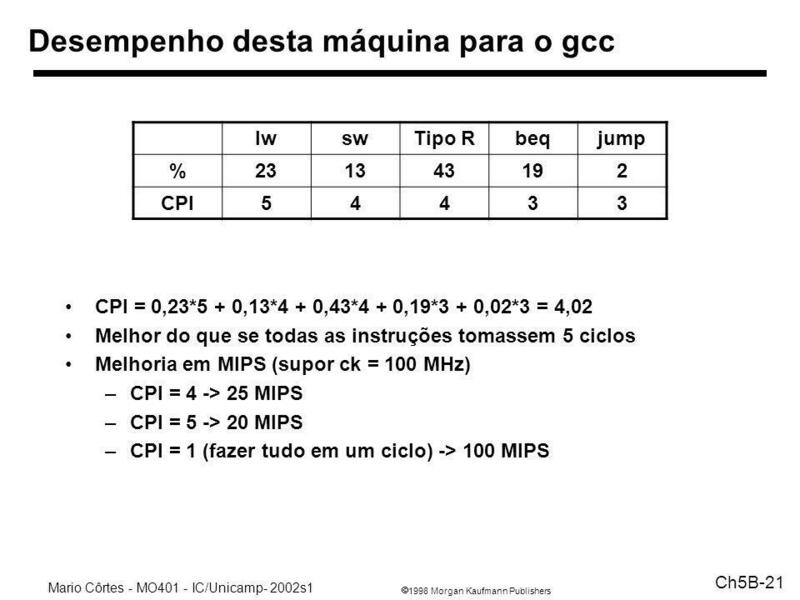 Increment the PC by 4 and put the result back in the PC. 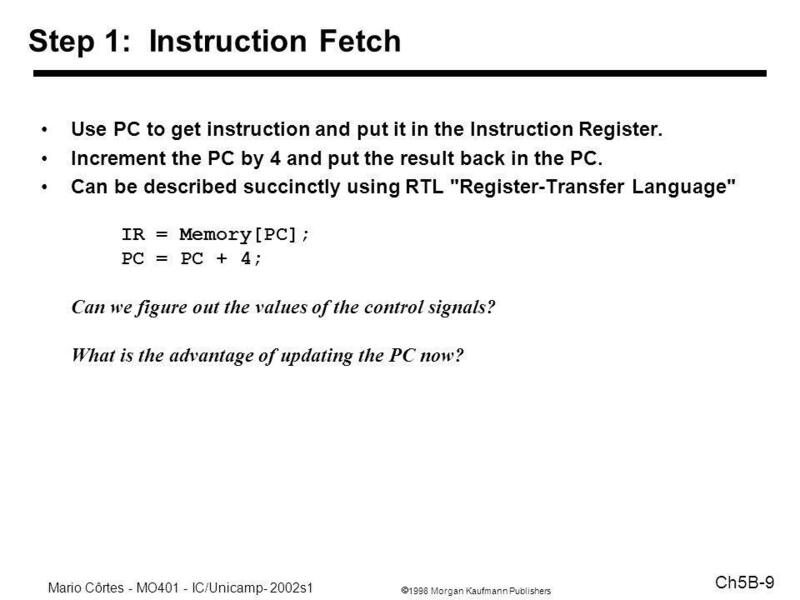 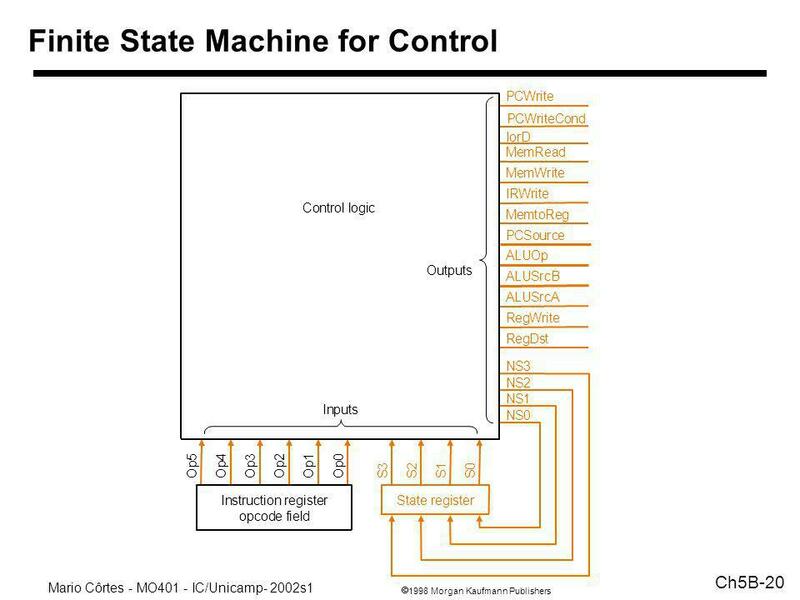 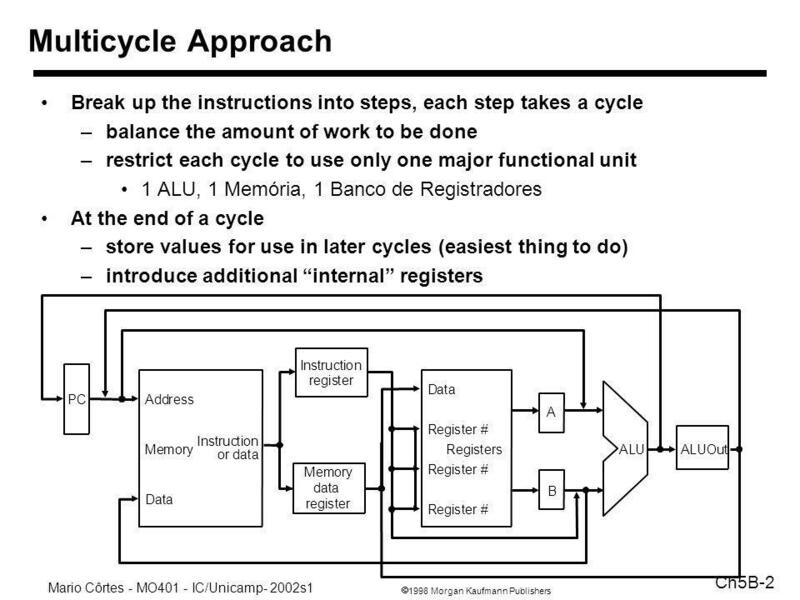 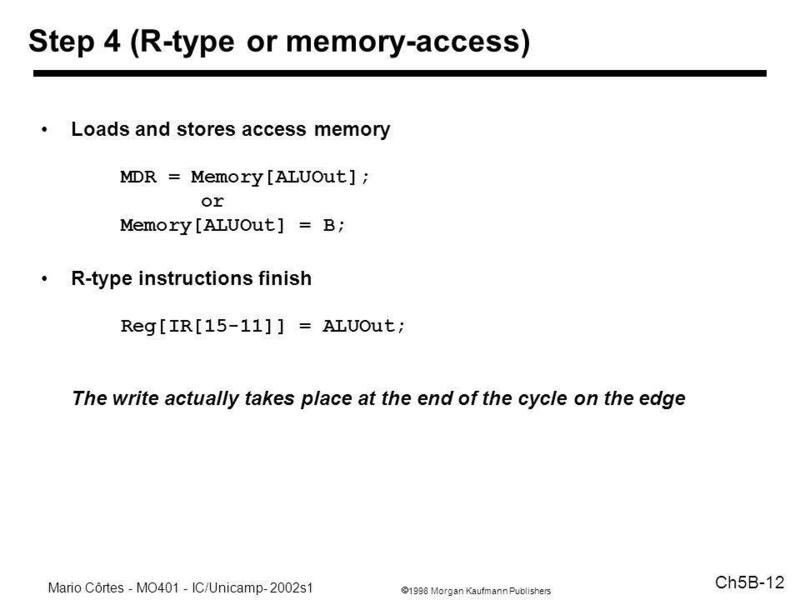 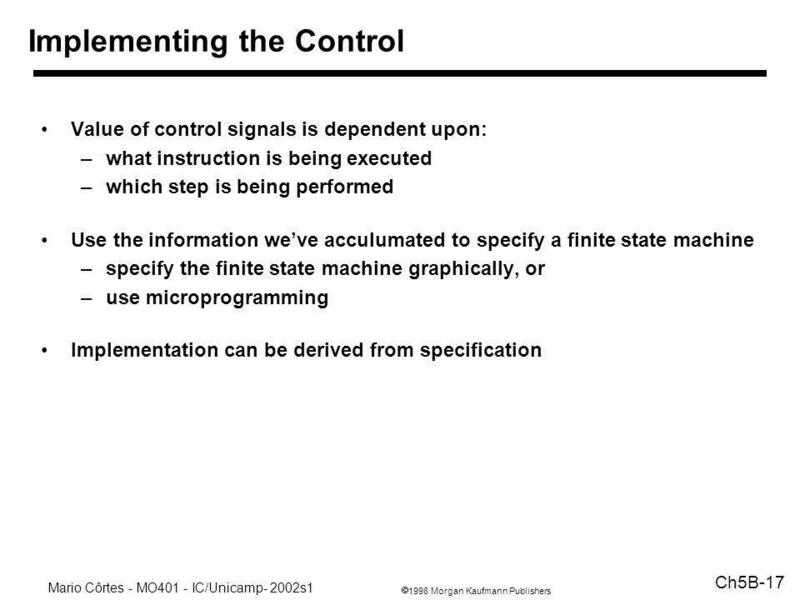 Can be described succinctly using RTL "Register-Transfer Language" IR = Memory[PC]; PC = PC + 4; Can we figure out the values of the control signals? 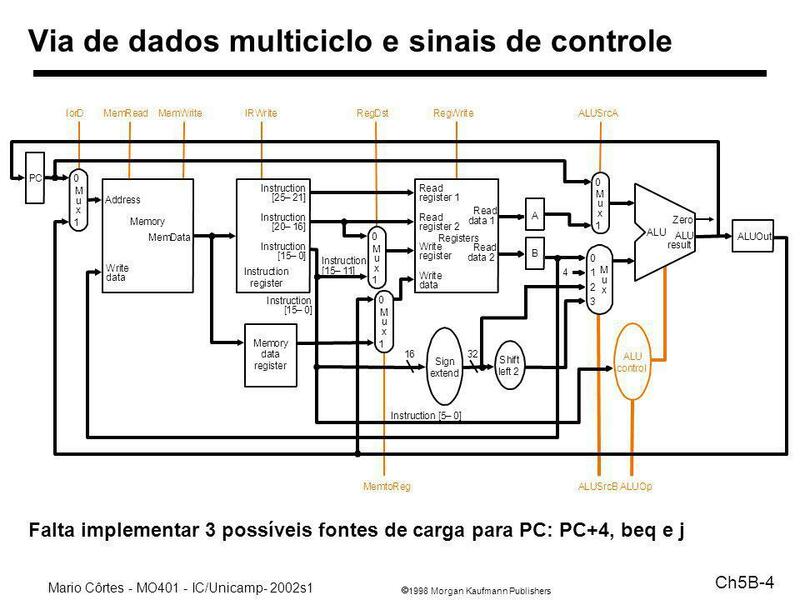 What is the advantage of updating the PC now? 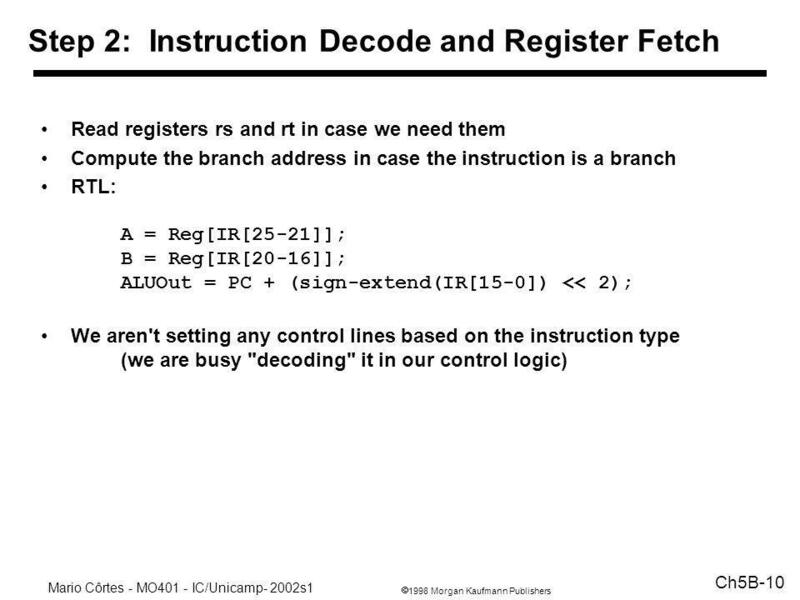 What about all the other instructions? 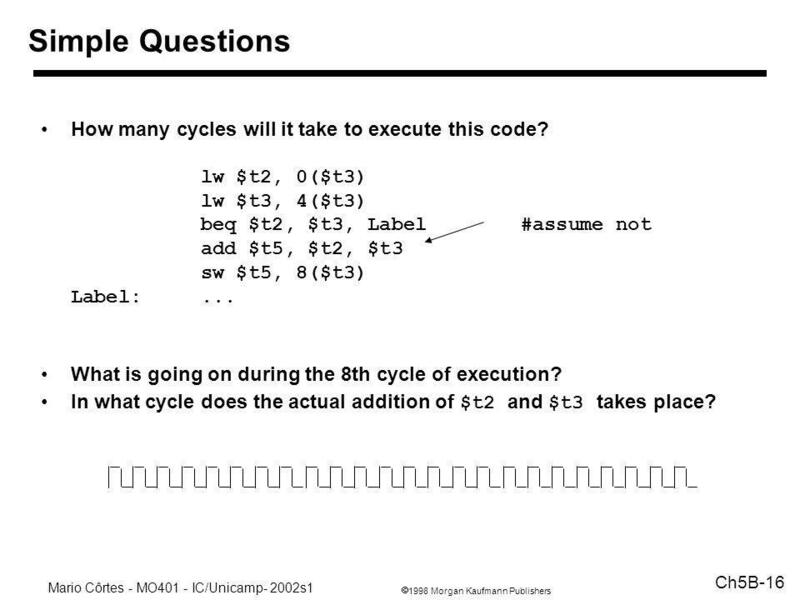 16 Simple Questions How many cycles will it take to execute this code? 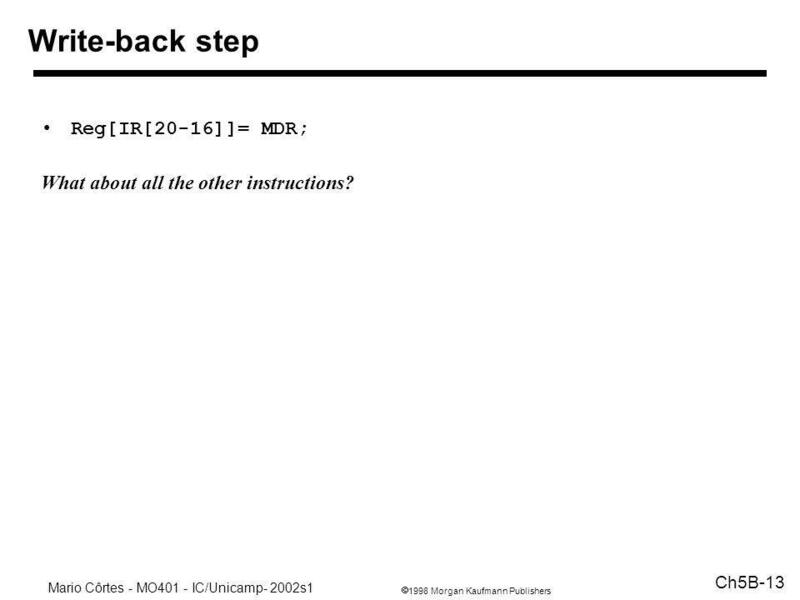 lw $t2, 0($t3) lw $t3, 4($t3) beq $t2, $t3, Label	#assume not add $t5, $t2, $t3 sw $t5, 8($t3) Label:	... What is going on during the 8th cycle of execution? 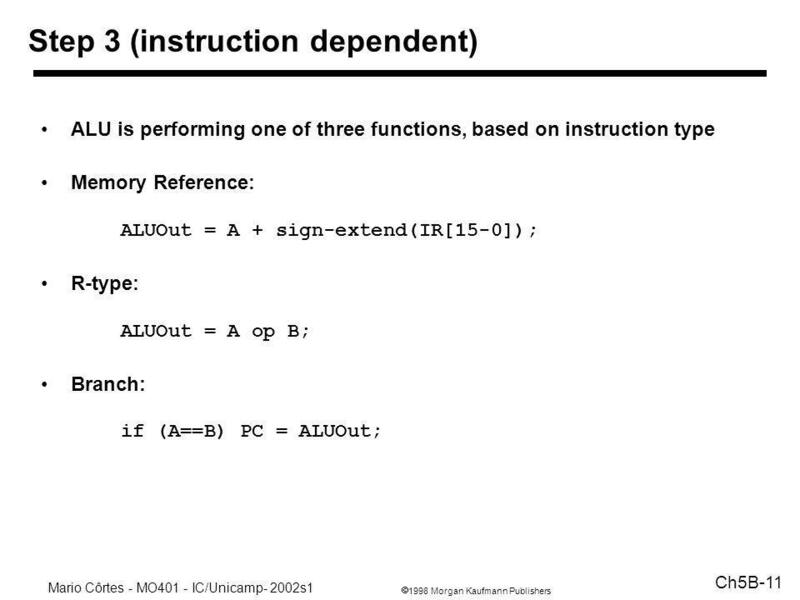 In what cycle does the actual addition of $t2 and $t3 takes place? 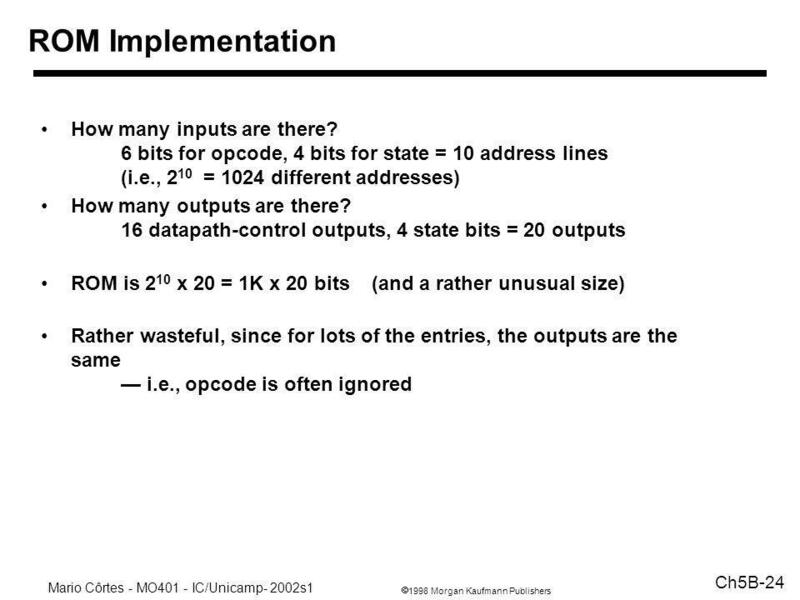 W r i t e S o u c = 1 A L U B O p n d R g D s M m I a f h / J l E x y - b k ( ' ) Q 4 9 8 6 2 7 5 3 How many state bits will we need? 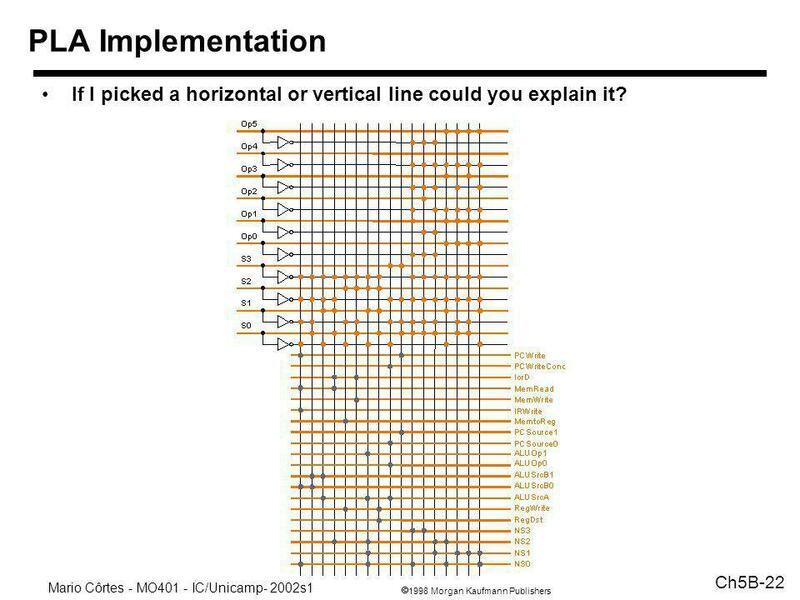 22 PLA Implementation If I picked a horizontal or vertical line could you explain it? 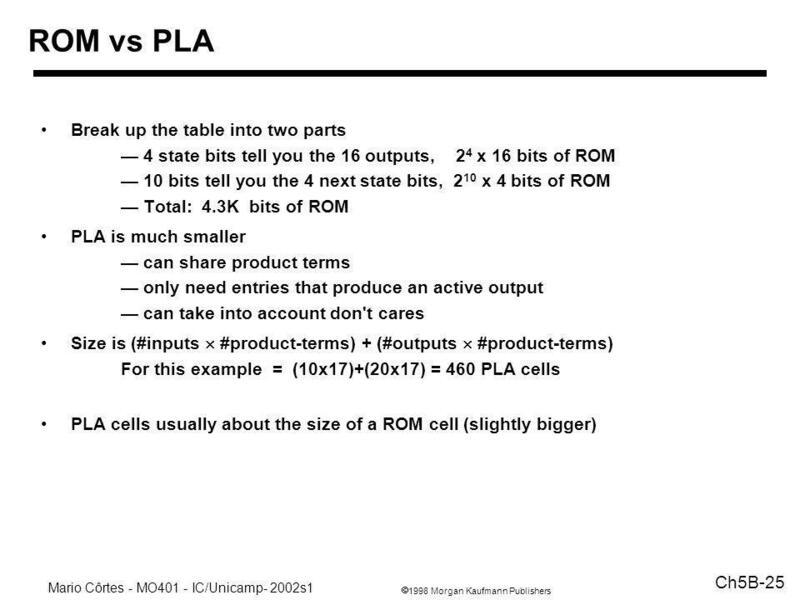 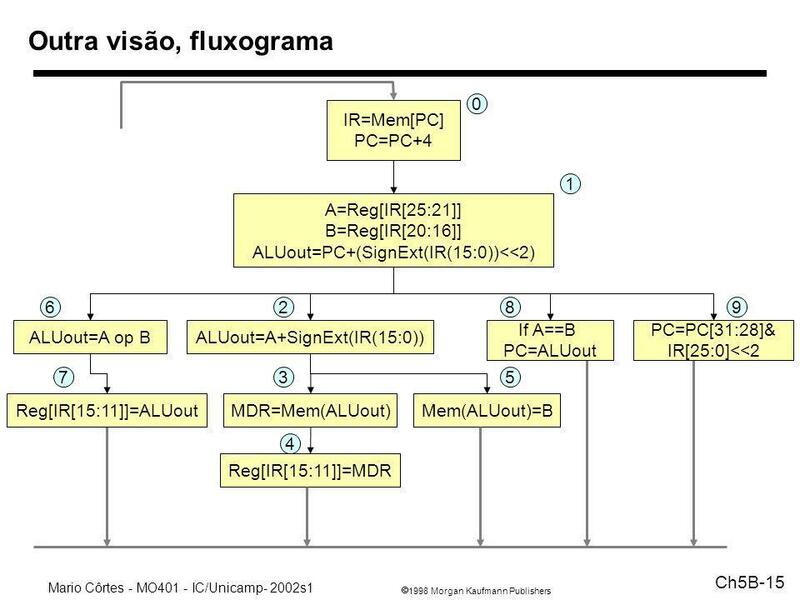 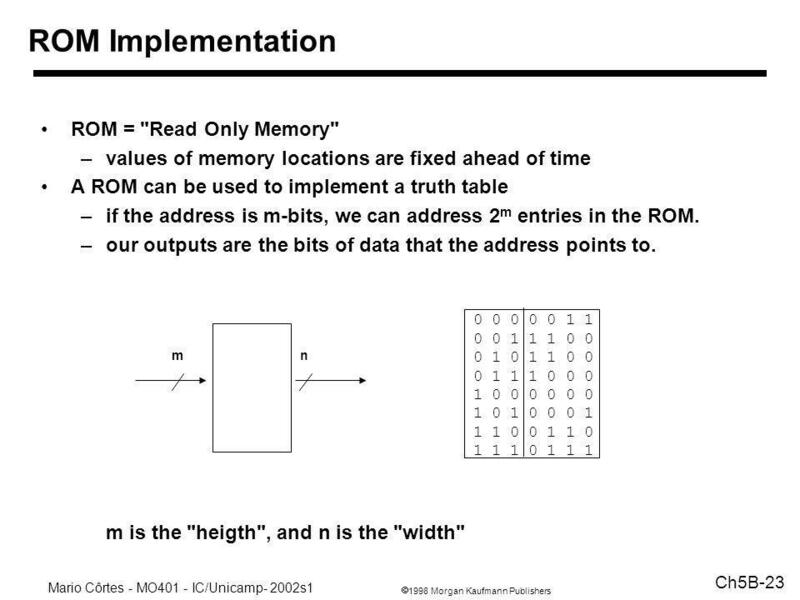 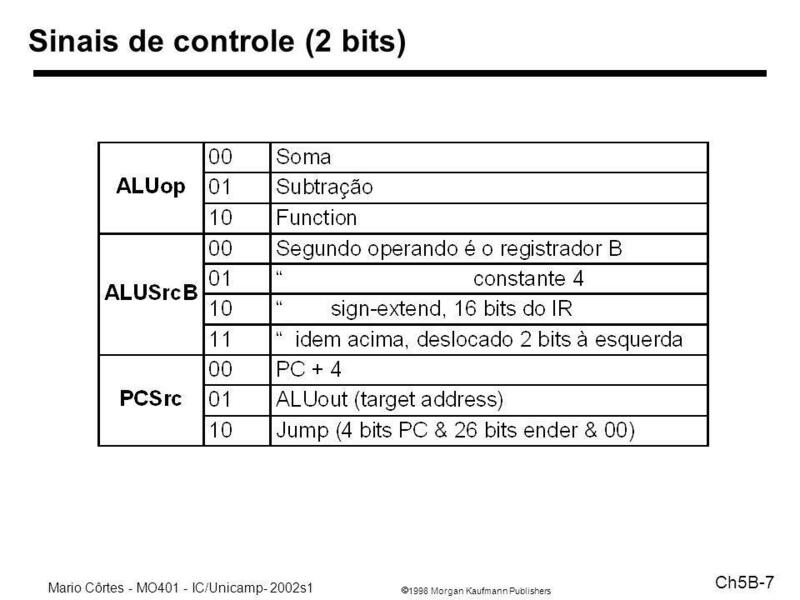 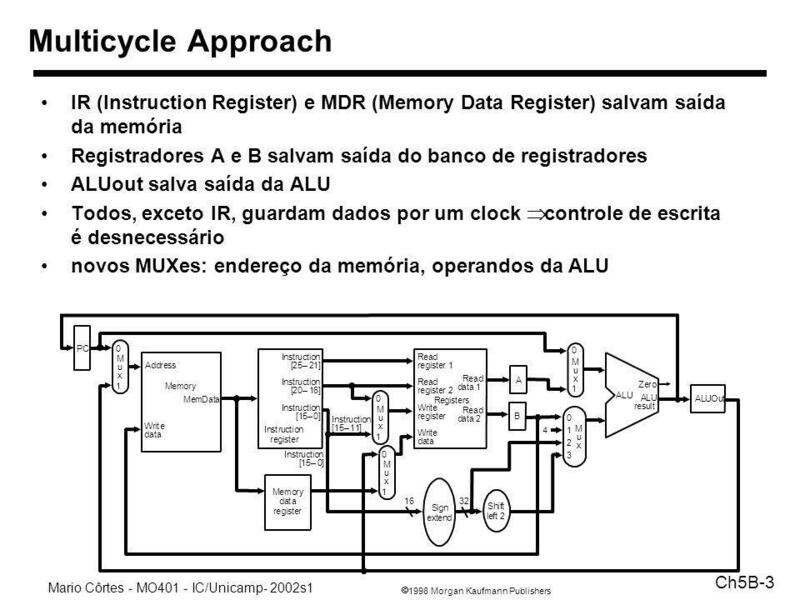 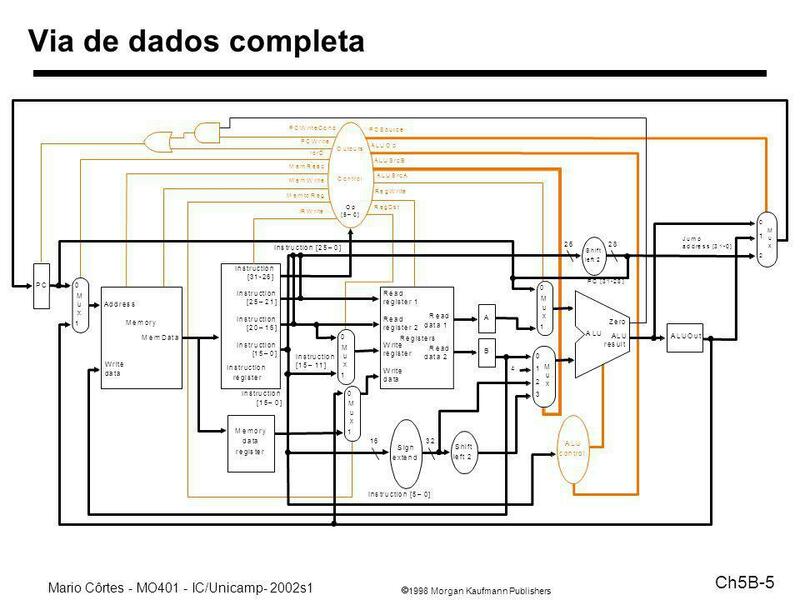 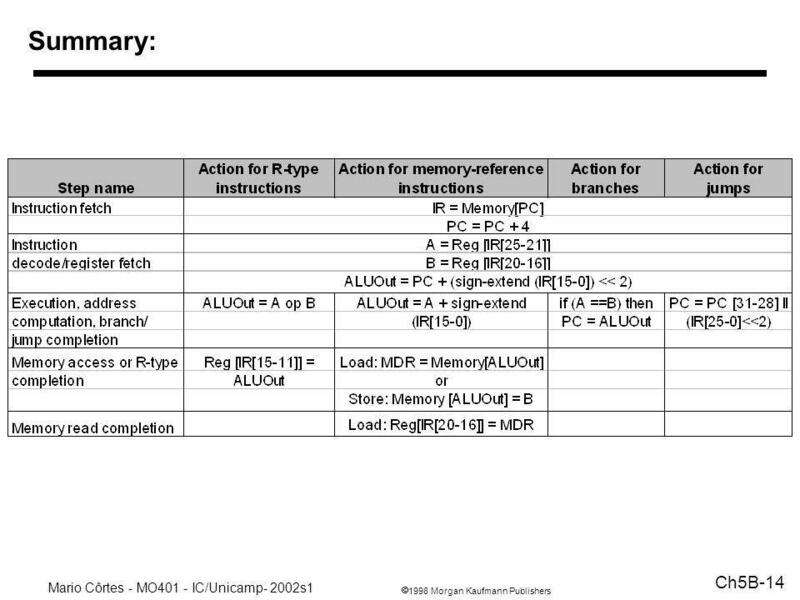 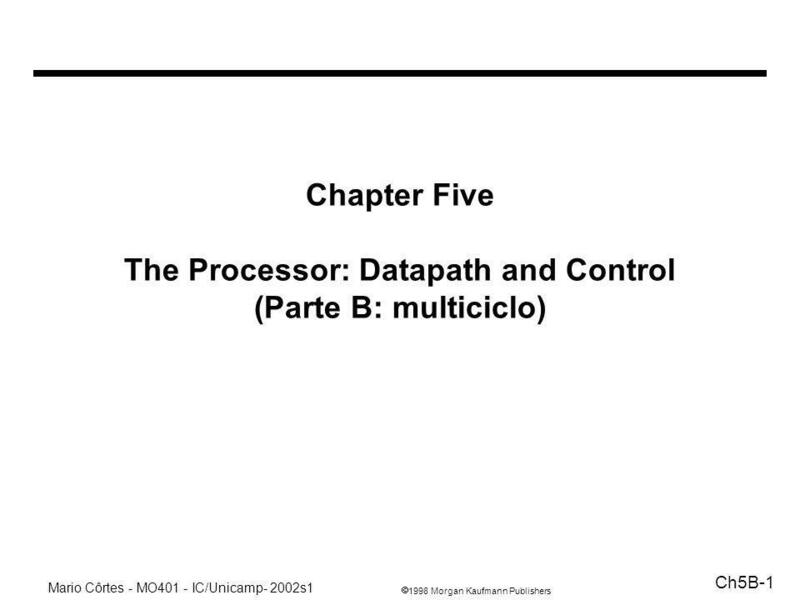 23 ROM Implementation ROM = "Read Only Memory"
Carregar ppt "Chapter Five The Processor: Datapath and Control (Parte B: multiciclo)"
AULA 06 - MIPS PIPELINE.